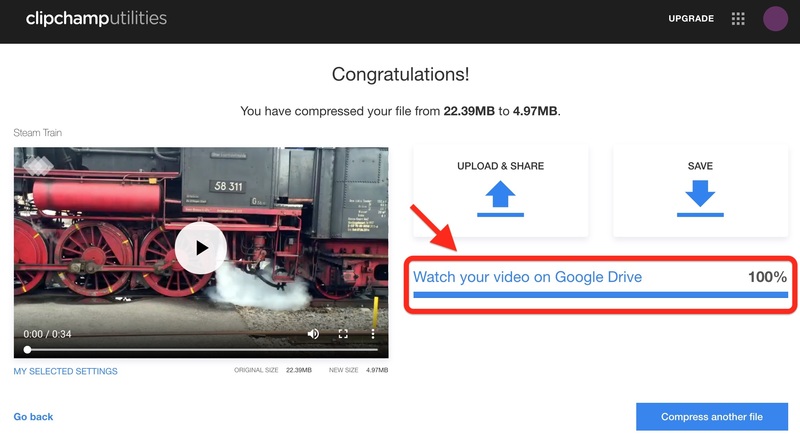 Utilities lets you upload your converted, compressed or recorded videos directly to Facebook, YouTube, Vimeo or Google Drive. You can do this by clicking the "Upload & Share" button while your video is processing or after it has finished processing. Choose YouTube, Vimeo, Facebook or Google Drive from the dropdown. 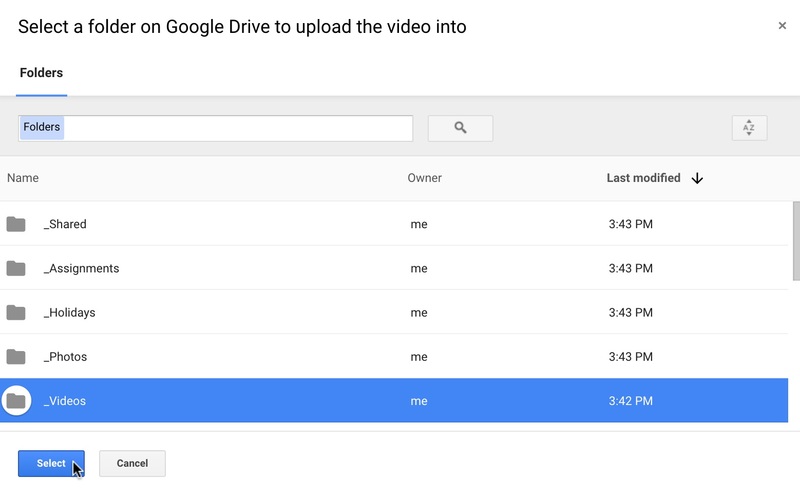 Enter the title and description for your video into the Upload & Share window that appears. 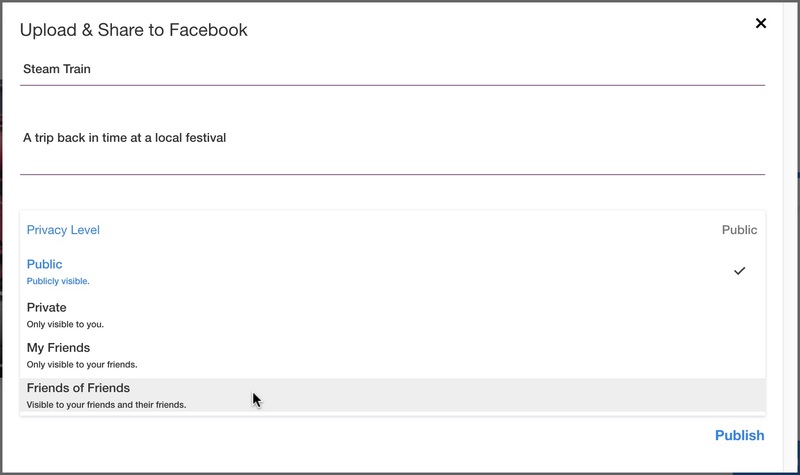 For uploads to Facebook, Vimeo and Youtube, there is an option to set your privacy level. This is not necessary for Google Drive uploads. If you're not already logged into the service you've chosen in your browser, you will be prompted to login. You may also be prompted to allow access. 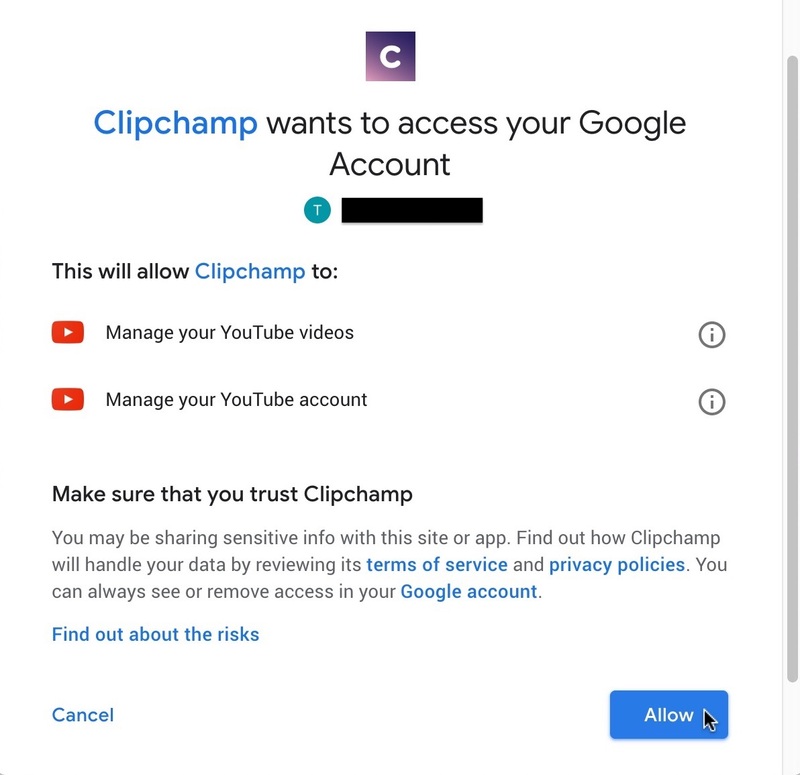 Clipchamp only uses this access for the purpose of uploading the video, it does not interfere with or access any of your existing videos on that service. Once the progress bar reaches 100%, you can click the link to go to view video on the platform you chose. After you've uploaded to one platform you can also upload to others. And of course, you can always save the processed video file to your computer and share it via email instead of uploading it to a video platform. Firstly, we recommend you SAVE the processed video to your computer before reattempting an upload to ensure you have a backup copy in case there are any issues during the uploading operation (this saving process is instant and will not take extra time). You can also then simply upload this saved file to your desired channel manually through their website, rather than through Utilities.